Best thing I love to do when feeling stressed or get home from a long day, all I want to do of course is watch anime or TV drama. I don’t feel yet I can do a top 10 list of anime to relax to yet, don’t feel still I’ve watched enough anime. I wanted to share with you three series, that have been such a joy to watch with their fun plots. By the end of the year I will do a top 10 list of relaxing anime’s but from then till now hoping to squeeze in more slice of life watches, I’d like to add to the list. This series was my favorite of the summer 2015 season, set in a fairytale setting. Shirayuki a herbalist is forced to runaway from her own country Tanburan. As her unusual red hair always catches unwanting attention, in this case the prince of her country. She encounters Zen a prince of clarines, he invites her to come stay at his kingdom, where Shirayuki works towards becoming a court herbalist. The rising attention during the summer season 2015 for this show was rising and so many people were falling in love with this lovable show. What surprised most was strong, shoujo lead Shirayuki, could stand her own ground and needed no prince to save this damsel. Well nearly most of the time. I feel this series by Studio Bones will be a favorite for me by them, their captivating animation makes the fairytale feel so real. Everything in every scene, just looks like it was shining and leaving this after polished look to it, which is so eye catching. The star reason though people love this show so much is our main two Zen and Shirayuki. The pacing of their relationship is beautifully timed, it all just flowed lovely and making every scene they have together endearing to remember. I always got so excited every scene they had together, they’re just so precious. Season one is very calm, I feel like you were getting to know all the characters, and find out their background stories. Season two a lot more is happening with fairy tale plot ,common, components to make things exciting. As a whole this series was a great watch for me, aside from Zen and Shirayuki being the main stand out. The second stand out was the music, listening to the original soundtrack for the first time made me realize, the show’s fairytale setting would be nothing without this. Anything by clamp I have beyond enjoyed and one of my favorites by them is Chobits. Hideki moves to Tokyo to study at a prep school in the hopes of getting into a university, randomly he find a android known as a persocom in the trash while walking back from school. Persocom’s are like personal computers but they are really expensive, they’re like humans but not. Sadly though when he actives the persocom she can only so one word “Chi” that is what Hideki ends up naming her, as he decides to keep her. All clamp stories to me are always so interesting and unique, in this case a personal android that is like a computer but looks like a human. It may sound weird that this is a romance/comedy where Hideki will fall for a android but when watching this series, I could not see chi that way. I love this series for it’s humor, Chi is hilarious of when she is having to learn average day to day things due to lost data she doesn’t have. Chi in a strange way really grows on you and some of the other persocoms you’ll see in the series all have their own unique personality. About half way through the series, things begin to get serious as you find out of Chi’s origin and history, which at the time to me was unexpected. Strangely enough this series was something to easily relax to, get my romance fix and have a laugh with. Full metal panic is my favorite comedy anime ever and this twelve episode series is jam packed every episode. From season one where it was all military this second season follows military maniac Sousuke Sagara adapting to average school life and life in general, where learning not everything can be solved with military means. For those who have not seen the first season, you can watch this show regardless of not seeing it. But I got more enjoyment out of it from having watched the first season due to getting to know the characters. Sousuke in the first season is sent to guard Kaname, as she is being targeted for a kidnapping to give you a basic premise. Second season mixes all life with military and it’s an explosion of laughs, I’ve re watched this series over 10 times I reckon now and still kills me over. Getting a love letter in your locker: Blow it up ! !, the cafeteria bread will be contaminated by someone: Rick up traps!! I think you get the picture by now, guarantee you’ll be feeling relaxed and amused at once. 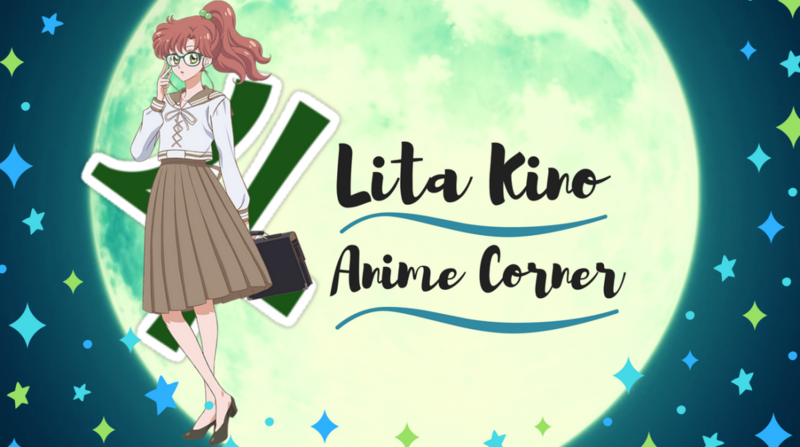 I hope you enjoyed this post on anime I like to chill to and please comment below what series you love relaxing or distresses you? Previous Blogger Livestream Announcement !!! Next I forgot to mention on here…. Great choices for enjoyable and relaxing viewing. I haven’t seen Snow White with the Red Hair, but after reading this, I shall add it to my list of things to watch. I loved Chobits and Full Metal Panic when I watched them. Two of the funniest anime ever produced in my opinion. Great choices for anime to watch when you just want to relax after a long day.